This lighting installation kit really makes any carriage complete. The kit doesn?t just contain contacts, capacitors and mounting materials. 20 seated figures also ensure that every carriage is brought to life. Finally there is a solution that brings carriages to life with complete lighting and passengers. 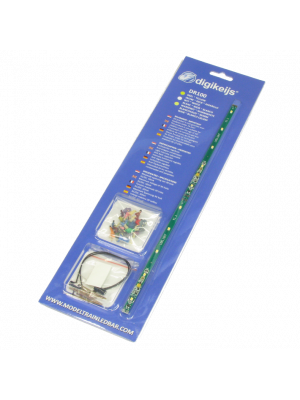 This set includes: 1x DR110Y LED strip in yellow, 2x contacts H0, 2x extra capacitors, 1x double-sided piece of tape, 20x seated H0 figures.